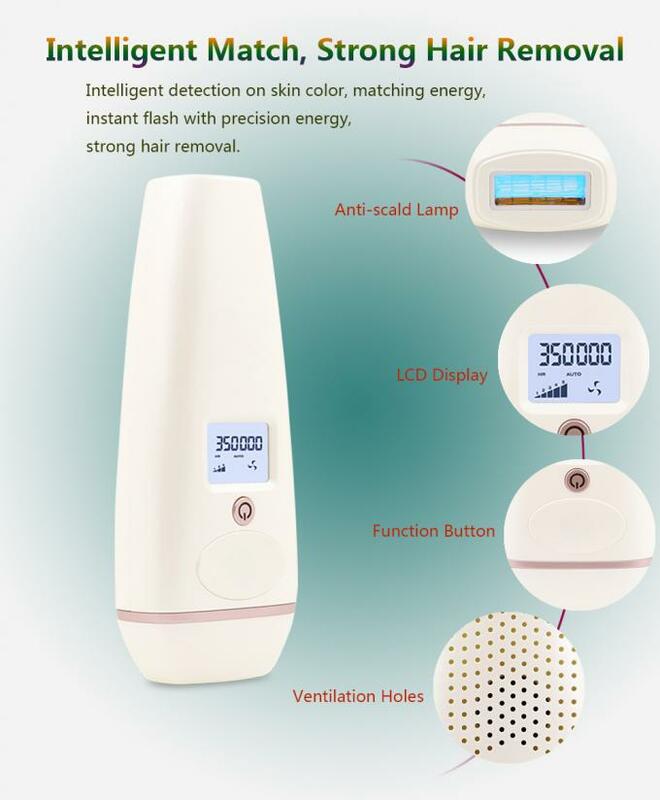 Professional intense pulsed light technology ,providing effecient and gentle inrradiation experience . The precise targeting of melanin in hair follicles inhibits hair growth in different parts of the human body . Farewell to repeated depilation ! 1. Hypnotize Hair Follicles ,Removal Hair Comfortably , Enjoy silky&smooth Skin everyday . 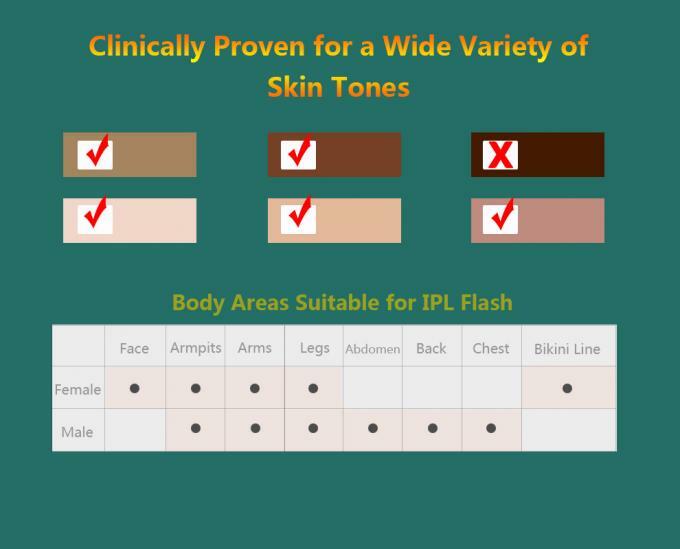 Intelligent detection on skin color ,matching energy . 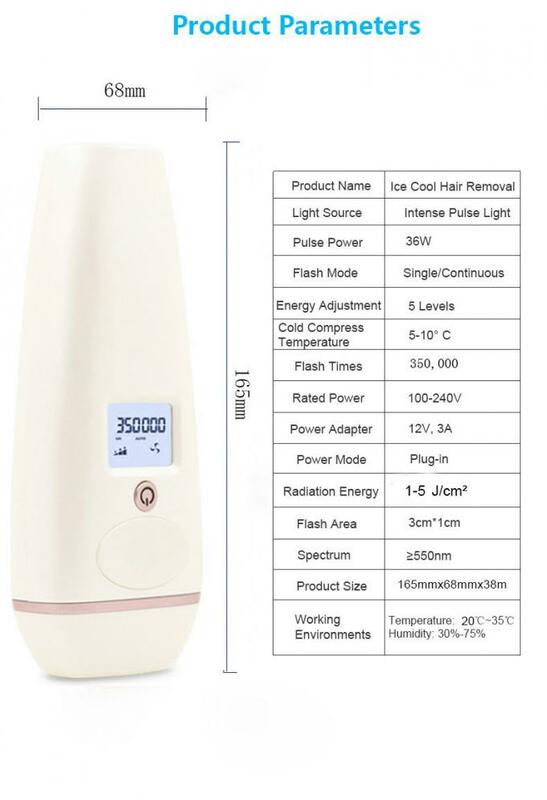 instant flash with precision energy ,strong hair removal . 3. 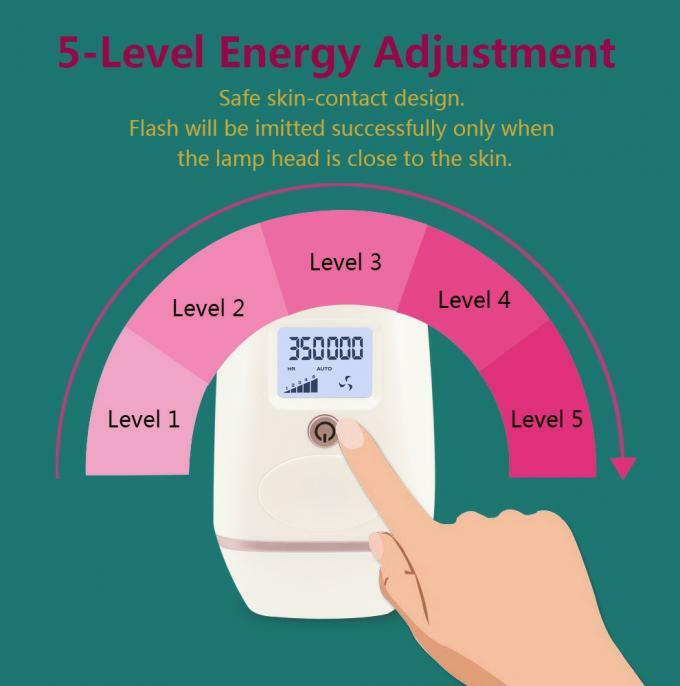 5-Level Energy agjustment , Safe skin contacting design ,Flash will be imitted successfully only when the lamp head close to the skin . 4. LCD Screen display ,clear at a glance . 350300 flashes can be used for 10-15 people or 10 years for a single user for whole body hair rmeoval . 5. LCD displays the real flash number ,one flash ,one less . Not worry about whole body hair removal . 6. Ice Cool Technology ,No head Change ,One-button Cooling ,No pain ,No Itching .painless Soothing Your skin . Fastest devices resulting and smoother treatment. Small and easy to transport eliminating the need for time-consuming appointments and shopping trips to the beauty supply store. 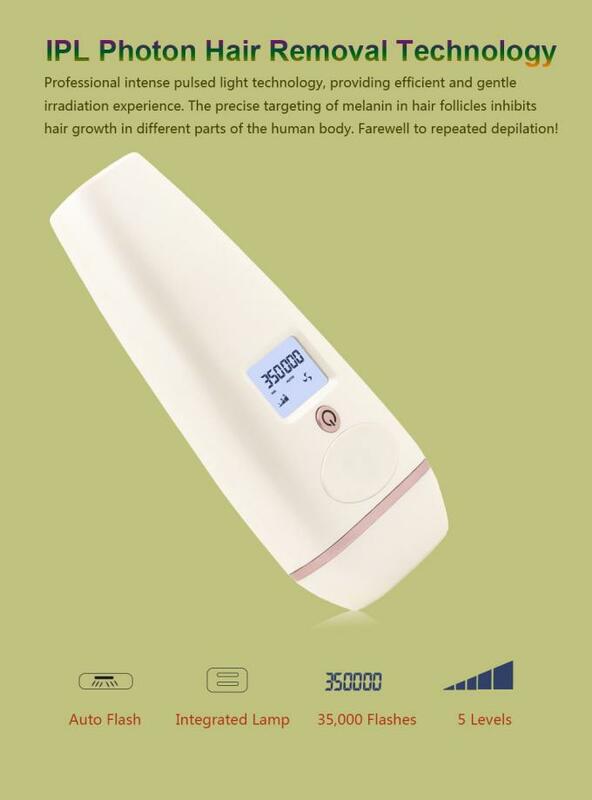 With its new handheld design, easier to target everywhere area of the body and get rid of your unwanted hair anytime, anywhere. And easy to operation. Can avoid the impersonal atmosphere of beauty salons or clinics. 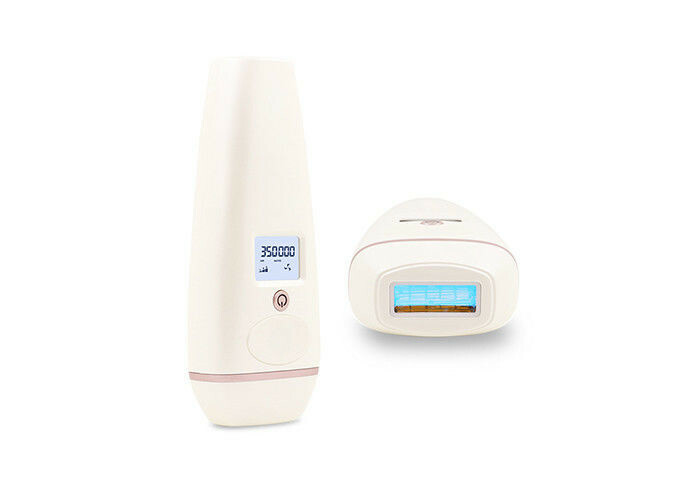 You can take control of your hair removal sessions in the privacy of home. Follow your own schedule, you don’t have to make appointment with salon or spa, time more free.